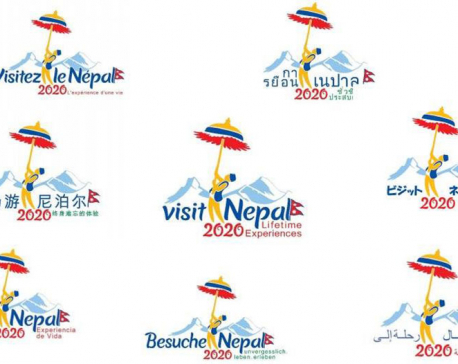 CHITWAN, Dec 16: Patihani of Bharatpur Metropolitan City, one of the 100 tourist destinations recognized by the government recently for the Visit Nepal Year 2020 campaign, is becoming a place of attraction for hospitality entrepreneurs. Hospitality projects with significant investments are being planned for the area, according to Bishnu Raj Mahato, chair of Ward 22 of Bharatpur Metropolitan City. "Three hotels of three-star categories are in the final phase of construction at this moment, while smaller hotels are also increasing greatly," Mahato said. Currently, there are six star-rated hotels and resorts in Pattihani. Of them, five are in three-star category: Narayani Safari Resort with 98 beds, Kasara Resort with 68 beds, Jungle Villa Resort with 55 beds, Jagatpur Lodge with 58 beds, and Tiger Land Hotel with 65-bed capacity. There are several other standard tourist hotels including the single-star Into The Wild Eco Resort. One of the big projects that is under construction in Patihani is Riverside Royal Garden Resort (RRGR). The resort is being constructed with an investment of approximately Rs 1 billion, according to Rishi Neupane, managing director of the resort. There are 17 individual shareholders and one institutional shareholder for the resort. In the first phase around Rs 550 million will be investing for the infrastructure development. The construction of the resort was started in February 2017 with a target of commencing operation by April 2019. 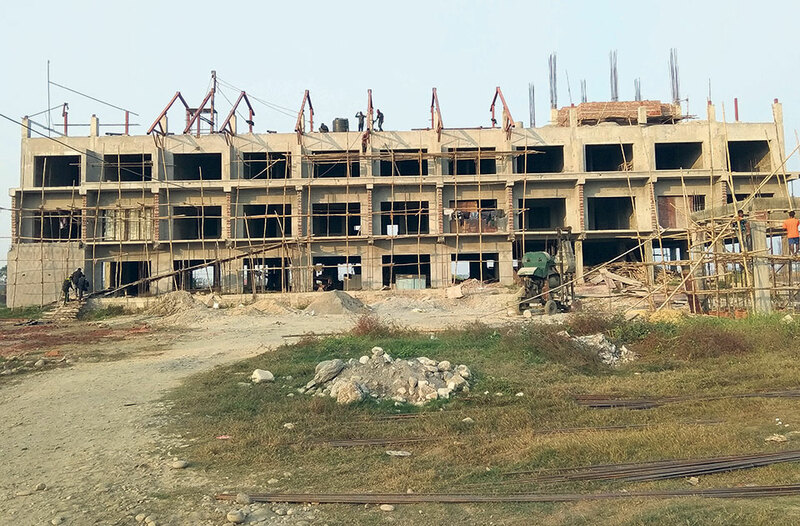 “Seven villa rooms with 42 standard rooms will be constructed in the first phase along with a conference hall with a capacity of 600 guests, and a swimming pool," Neupane told Republica. Each villa will have a separate restaurant and a plunge pool, he added. After the resort comes into operation, second phase of construction will begin, he added. In the second phase, 60 more rooms will be constructed. 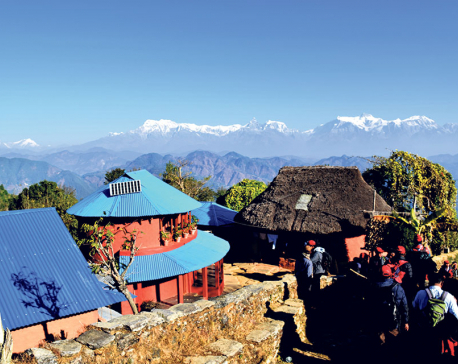 After the completion of the second phase, the resort will be upgraded into a five-star category, Neupane added. Other three-star rated properties, Jungle Lodge and River Bank Jungle Resort, are also under construction. Meanwhile, entrepreneur Dwarika Shrestha, whose Chitwan Jungle Lodge inside the Chitwan National Park was shut down, is opening a resort at Patihani with the same name. The resort will be spread over 4 bigaha of land. "We are trying to use local and traditional material to decorate our resort," he said. "The construction will get completed within one and a half year, starting from February next year." In the first phase there will be 30 rooms inside the resort. Likewise, the construction of River Bank Jungle Resort will also begin by the end of the year, said Dipendra Joshi, promoter of the resort. Most of the land along the Rapti River is now being used for building hotels and resorts and conducting tourist activities. "We have encouraged landowners next to Rapti River to either invest in hotels or other tourist business instead of letting their lands being useless," said Ward Chair Mahato. "We have also brought a policy to exempt taxes for big investors." The Ward Office has committed to construct all the infrastructures required for promotion of tourism in the area within a few years, according to Mahato.